Destiny: Rise of Iron is about giving players what they want – and what they want is to be BFFs with Lord Saladin, apparently. This year’s major Destiny release is Rise of Iron, which adds a new destination on Earth, a story campaign, an enemy faction, a strike, a raid and a ton of new equipment. Although The Dark Below was a pretty standard expansion, both House of Wolves and The Taken King added something to Destiny that hadn’t existed – new ways to spend your time on a daily or weekly basis, in response to player complaints that they wanted different kinds of experiences. They changed the way Destiny is played in fundamental ways, and they plugged holes in the formula. Rise of Iron, from what we know at present, adds more of what we’ve already got – which isn’t a criticism, by the way. After two years of evolution, it’s interesting that, as the story of Destiny circles back to where it started, so too has Bungie come back around to the traditional expansion model. In the wake of this reveal overnight, we spoke to Bungie’s David “Deej” Dague and Eric “Urk” Osborne. “We’re in a really good spot with Destiny right now and the outcry we’ve heard from the community recently is that they want more content,” Osborne said. “More things to play and things to do in the world. “We’ve been creating a lot of fun experiences in our Live Team and we’ve seen a lot of success there. People are playing the game and finding lots of fun things to do. We’ve been fine-tuning those and making them better and better as we go. “But we’ve been hearing this loud chorus of people who wanna learn more about the lore, and the story, and have a rich cinematic campaign experience, meet the characters of the world. To have some new gear, some armour to go out there and chase and earn and upgrade. Co-operatively and competitively – obviously people are really interested in having a new raid experience. “Rise of Iron is primarily about telling a great story and providing players with tons of things to do in the world. It’s literally an expansion to the story and the world of Destiny. “Our entire approach to developing Destiny has changed because we have the luxury of understanding our audience now,” Dague said. “Now that we know who the Guardians are, and now that we understand what motivates our audience to play this game and what things our community really loves about this game, we can – with expansions like this especially – latch onto those things and elaborate on them. “When we look at the competitive and social phenomenon that Iron Banner has been since the Destiny beta, we’ve had a number of different requests from people who want us to satisfy curiosity about Lord Saladin’s story. Who is Felwinter? Why do I have a heavy machine gun named after Jolder? 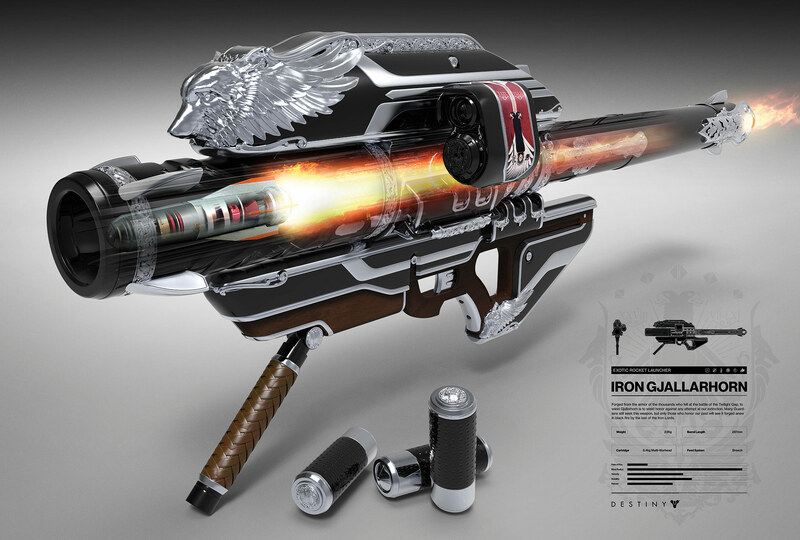 Who are these people, and why are they worthy of having their names etched onto these fantastic weapons? Bungie want to give players what they want, because the studio’s role is to create entertainment – perhaps art as entertainment, Dague said, but entertainment nonetheless. But at the same time, it pursues those avenues which interest the creative team – not just whatever the forums are demanding that week. 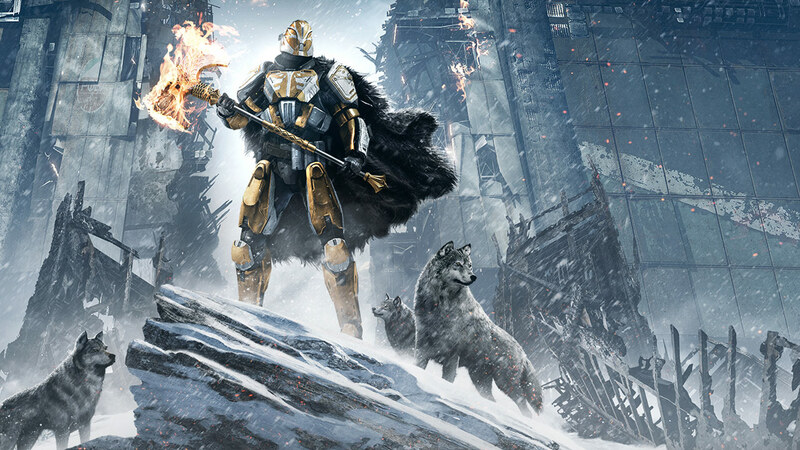 “If we can take a cue from the community and say, people love Iron Banner, people have been curious about Lord Saladin – how cool would it be to expand the boundaries on Earth that they’re able to explore, to talk more about the ancient struggles against Golden Age technologies?” Dague added. Osborne described the process by which game director Christopher Barrett kicks off the development of a project like this, letting player interest point out cracks in the lore where Bungie might insert a narrative knife and twist, spilling out something wonderful beneath the surface. “Seeing how he’s able to take and seeds ideas early, and finds the ones that the community are gravitating towards and really flesh them out, is kind of a magic trick,” he said. “He can write a paragraph at the very beginning about what he wants Rise of Iron to be, and it’s so spot on. It’s so perfect. Bringing Saladin out, exploring the deeper fiction behind the Iron Lords, creating this timeless, epic, heraldic, heroic, story of these ancient knights – candles in the dark, fighting against the Darkness – and this ancient technology entombed beneath earth. And it’s so good. “One part of strengthening how we develop games, and specifically content for Destiny, is by using our players as a divining rod. Before development, we were in a vacuum to wander around and figure out what we wanted to do. We had a lot of ideas, and our core pillars, and a lot of our own sensibilities. Although Bungie does have a longterm strategy in place (“We want to have big annual beats. We want to have stuff in-flight in between,” Osborne said), the kick-off for a project is when the various development teams get together and latch onto an idea “that they love”, Osborne said. Since all the teams at Destiny work independently, the core creative pitch for a new content release is “the anchor, the spark of a lightning rod” that both holds them together and inspires them to get creative. In the wake of the April update, Destiny is in better shape than ever before. It’s the perfect time for Bungie to begin to deliver on all the promises of its fiction and its vision – and it sounds as if Rise of Iron may just do that. Destiny: Rise of Iron launches in September for PS4 and Xbox One.